Your garage door can get damaged when there is a severe storm. In order to protect your home and your family, call us today and we can assist you in repairing the damage. We provide the best repair services in the city. If the opener of your garage door has stopped functioning properly, you do not have to worry at all. Just call Garage Door Repair Minneapolis and book an appointment with us. Our team of professional experts can handle any kind of garage door opener issues and will arrive at your home instantly. If you want to replace your opener, our company has a wide collection to choose from. If you got a broken garage door roller, no worries at all. Our company has dealt with all kinds of roller issues. Rollers are one of the most important component of a garage door and if they stop working, it is essential to get them fixed immediately. Replacing rollers and hinges with new ones is a task that should better be left to the experts. Our technicians have years of experience in this field and they can repair or replace the roller effortlessly. Say you are exiting the garage and the vehicle accidentally crashes with the panel. It is essential for you to fix it right away because if a broken panel is not fixed immediately it might affect other components of your garage door. Our company replaces panels at an affordable cost. 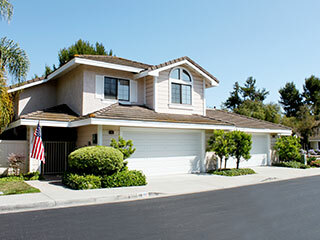 We can handle any kind of garage door repair problem. To book our services, all you need to do is pick up your phone and schedule an appointment with us. We guarantee you the best customer service possible.